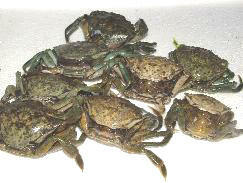 Peeler crabs are one of the most sought after baits in the country. They are popular feed for many of our hard fighting fish such as bass, smoothhound, wrasse and cod. A peeler crab is so called, as the crab is at the stage of shedding its current shell.This process is how the crab grows larger. 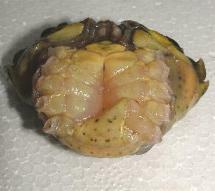 Beneath the harder outer shell is a new shell waiting to come through, at the peeling stage the new shell is soft and will harden as all the older outer shell is discarded. 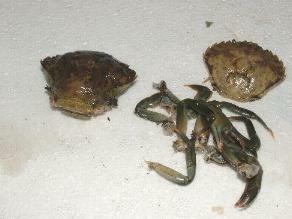 During this process the crab is most vulnerable to predators. 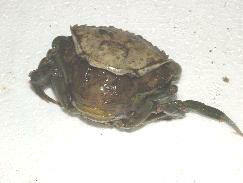 As well as having a new softer shell, the crab oozes a pungent scent that drives many fish wild. When using a peeler, many anglers choose to peel the outer shell and remove the crab’s gills, in preparation to wrap this particular bait into a neat little parcel for the hook. If choosing this method, don’t wrap the bait too much. Often you see crab baits aboard My Way that would look better in an Egyptian Mummy’s museum and not trotting along a sea bed. Care when hooking the bait, and a few gentle twists of cotton, will allow the juices to seep from the bait unhindered. 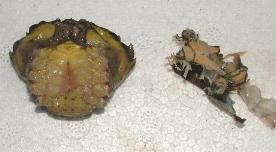 Remove the outer shell top, legs and claws. Set the legs and claw as aside, as these can be used for tipping other baits. Peel away all the outer shell from all over the crab and carefully remove the green slotted lungs from inside the crab body. Here is your peeled crab ready for hooking, or if a large crab you can cut in two. Smoothhound is a member of the shark family, who, as most of us are aware have a very sensitive level of smell, and are reputed to detect scent from a food source from a fair few miles away. My preferred method is to simply hook 1 or two crab once through the back, and hey presto job done. In doing this you are presenting to the smoothhound a more realistic looking food, yet still releasing the scent from the crab, however this time a little more controlled, this safeguards against the smell being washed out of the crab too quickly.